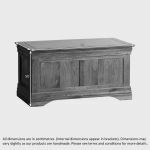 The French Farmhouse Rustic Solid Oak Blanket Box is attractively and solidly crafted from premium grade oak timbers by expert joiners. 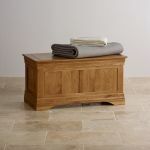 Ideal at the end of the bed, in the play room to tidy away toys or as a piece of hallway furniture to store shoes and umbrellas, it's a sure-fire investment in style, functionality and durability. 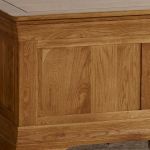 All the design features of this popular range are visible here - from the flared cornices, inlaid grooves, panelled sides and softly rounded edges, the quality speaks for itself. 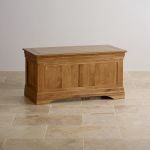 Take a look at the rest of this resplendent French furniture range to discover fully-matching pieces for every room in the house; from the bedroom to the living room. 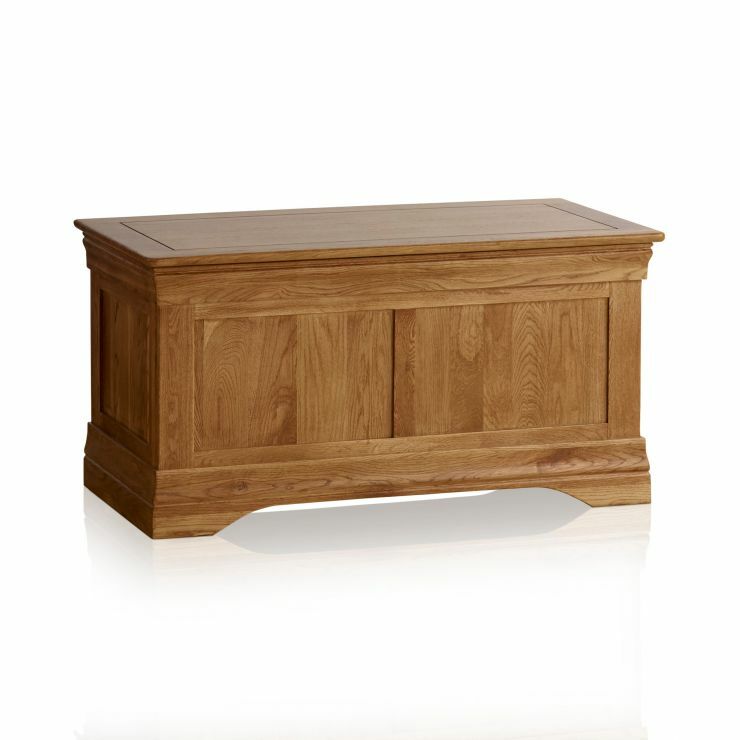 To keep your oak furniture looking its best, simply apply clear Wax Polish three to four times a year.